The Midlands is an important area of work for us. We support services which not only impact on the big towns such as Athlone, Mullingar and Longford but also reach out to smaller communities in the more rural areas. Minister Moran and other politicians in the region frequently remind me that the needs here are just as great as those in our cities of Dublin, Cork or Limerick. As some-one who represents a mixed constituency on the outskirts of Dublin – which reaches into the rural areas of the Dublin Mountains I appreciate that. I want every family in the Midlands to be aware of the radical new family supports available – and go to www.affordablechildcare.ie to check out the details. In addition to the family supports we are also improving quality, creating more spaces and supporting local childcare services with grants. These will total over €1.6m in the Midlands this year with funding through County Childcare Communities and capital funding for individual services. The dedicated providers will also receive their share of €18m being provided in recognition of the administrative work they must undertake to support families and ensure the safety and protection of children. This is an unprecedented level of investment – but still leaves childcare services in our communities far short when compared with those in other countries. It is a privilege to visit the Monsignor McCarthy Complex in Battery Heights as part of my visit to Athlone today. Boxer has been determined to get me to this community since my appointment – and I am today delighted to join the children, young people and families from the local community. The level of activity being under-taken to support young people and families in this local area is very impressive – and an example for others to follow. The favourite part of my job is that I get to engage with children and young people.Their strong views on so many topics give me great hope for the future of our country. Young people’s voices are always the loudest in seeking equality, fairness and justice. Youth Work Ireland, Fóroige, Comhairle Na nÓg and the Garda Diversion Programme as well as others are empowering our young people. €400-thousand if being provided for youth services in the Midlands this year – Westmeath and Longford account for more than half of that. This money is being provided for those clubs and services which work with young people on the ground. It is here that many develop their passion for sports, the arts and adventure. The work being under-taken and the supports offered are inclusive of all age groups. This is a place where neighbours are ready to give a hand and support to those in the greatest need. As Minister I today want to acknowledge your work, the support you offer each other and the importance of this Complex and the Family Resource Centre – and thank you. 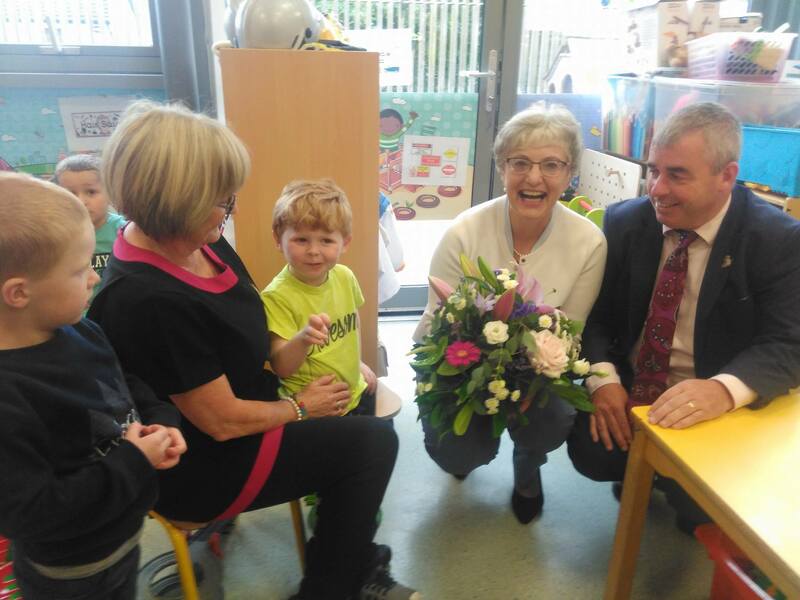 My Department reaches into your communities in many ways.Last year I secured increased funding for all our areas of work.We secured €1.3 billion euro to support children, young people and families in their communities. It represented an increase of 15%.However as the only Independent Woman at Cabinet I am also aware that the money followed years of cutbacks which hit everyone hard. In the coming weeks I will be seeking even more money.Money which I am determined will be used on the ground – delivering better childcare, the best possible supports for vulnerable people and activities for our children and young people. It will ensure that the Department of Children and Youth Affairs, as well as Tusla are standing with and supporting the communities of the Midlands even more into the future. Can I thank you for your support – and for your hospitality today.